Introducing Disney's Polynesian Villas & Bungalows. At this Disney Deluxe Resort, nestled within the island-themed reimagined Disney's Polynesian Village Resort, Guests can savor in the splendor of Polynesia, as they settle into a warm welcoming world that celebrates the passing of time in languid tranquility. 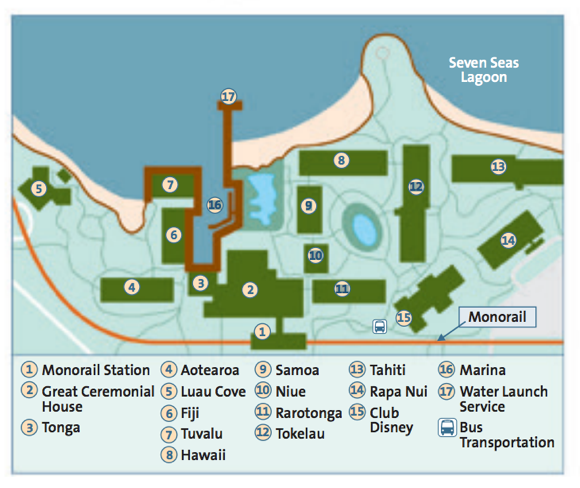 Disney's Polynesian Villas and Bungalows are conveniently connected by monorail or water taxi to numerous restaurants within the Magic Kingdom® Resort area.